Daffodil bulbs, hyacinths, snowdrops, catkin twigs and Lilies of the Valley – yes spring is here and in only two weeks it’s Easter! Last year’s Hello Spring, Hello Easter topic was so inspiring that we wanted to highlight them today. 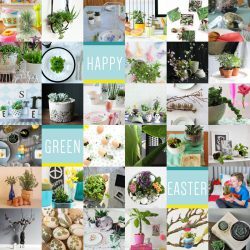 We hope that the ideas from our Blogger’s community will give you some extra inspiration to join us next Thursday for the 17th Edition of Urban Jungle Bloggers… or to dress your Easter table with plants and decorate your Easter home with greens (and eggs!). 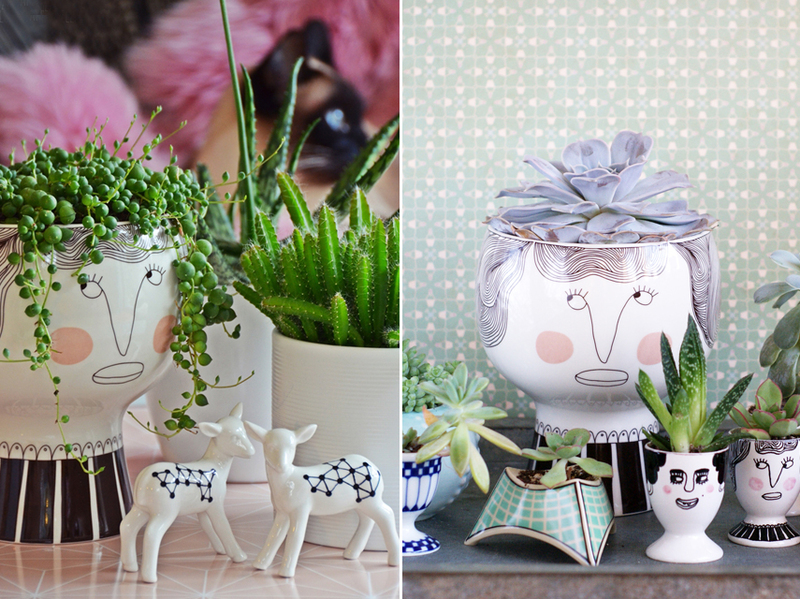 The two images above are by Nic and Barbara, they both added funky hairdos to their Meyer-Lavigne vases and egg cups. 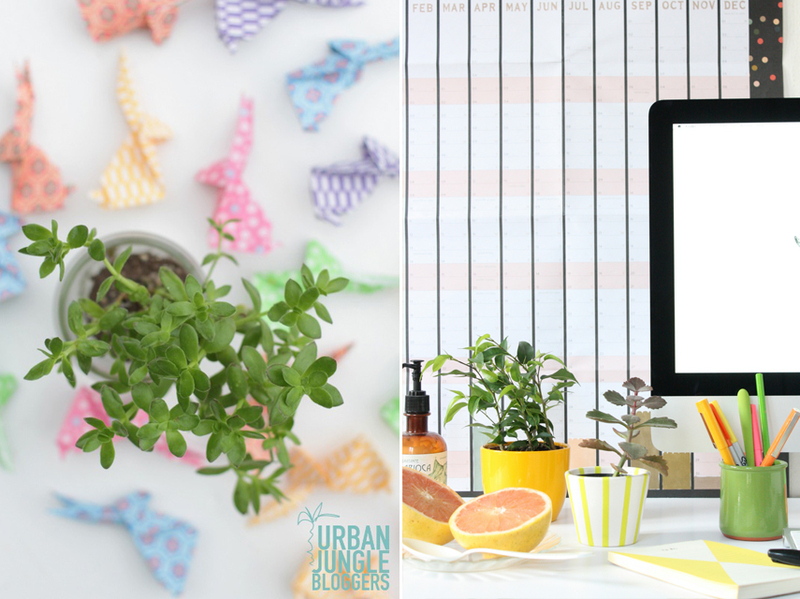 Jillian folded dozens of Easter origami bunnies to spice up her greens and Lauren decided to give her home office a Citrus Spring Cleaning with fresh grapefruit and plants. 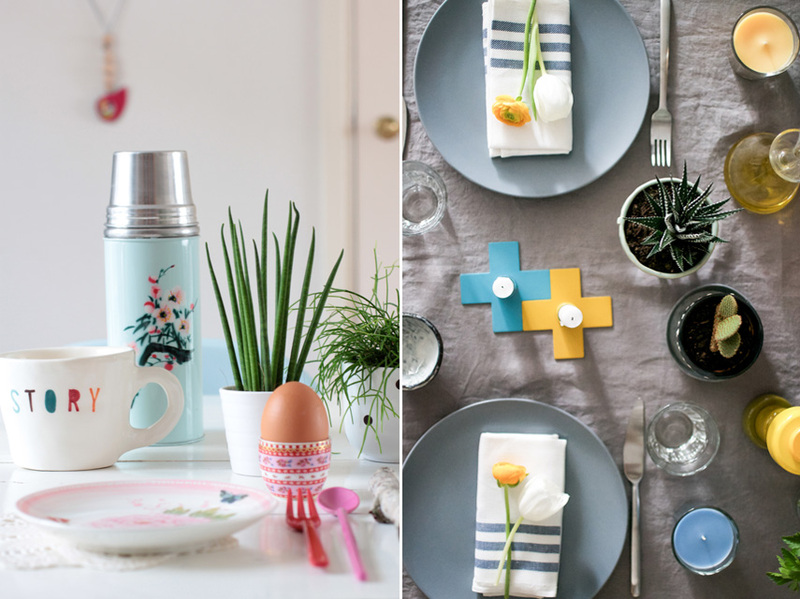 Ilaria’s table top styling had a very feminine palette with pastel shades and her Story Hotel mug from Stockholm and Igor set up his brunch table with yellow, blue, grey and green accents for a more masculine look. 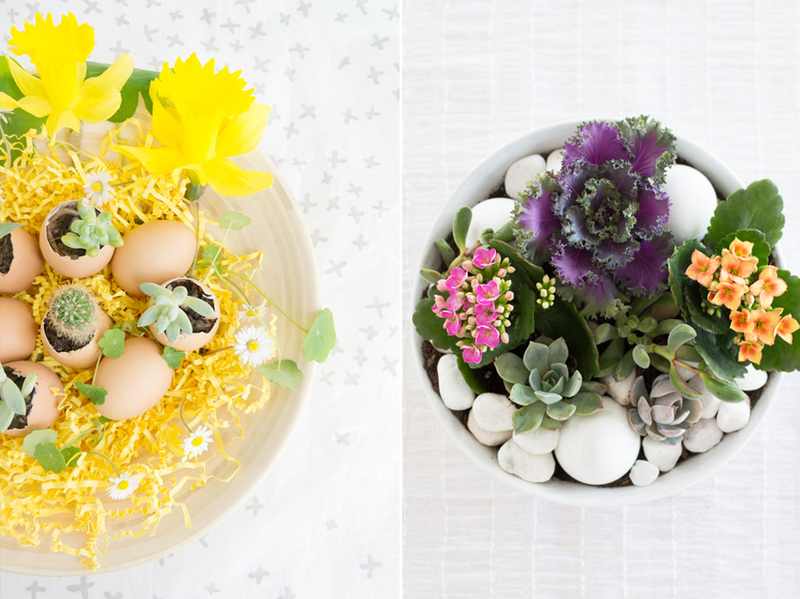 Judith used egg shells as temporary planters for her succulents and cacti while Ana turned a bowl by Crate & Barrel into an Easter bowl with succulents and pebbles. 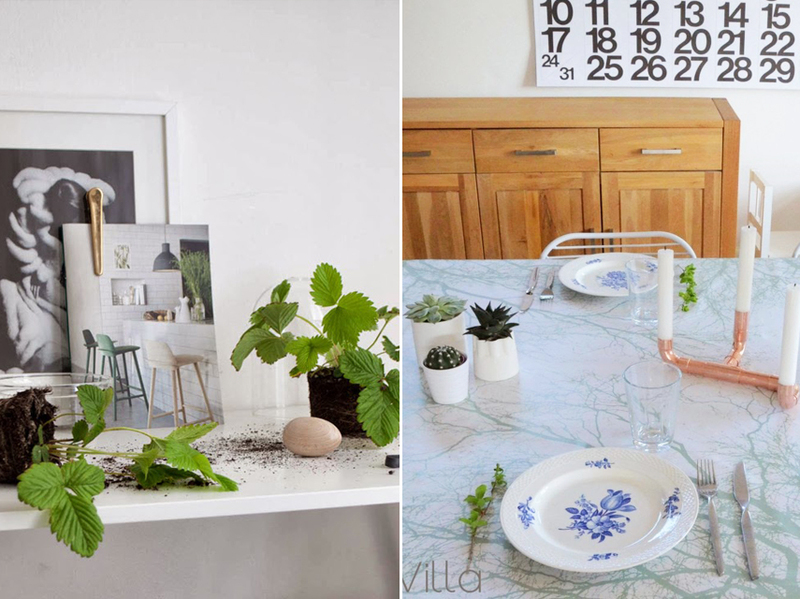 Elena went back to her childhood and styled a green vignette with strawberry plants and wooden eggs and Christina dressed her table in Scandi style to have cake with her daughter. Or what about pink? 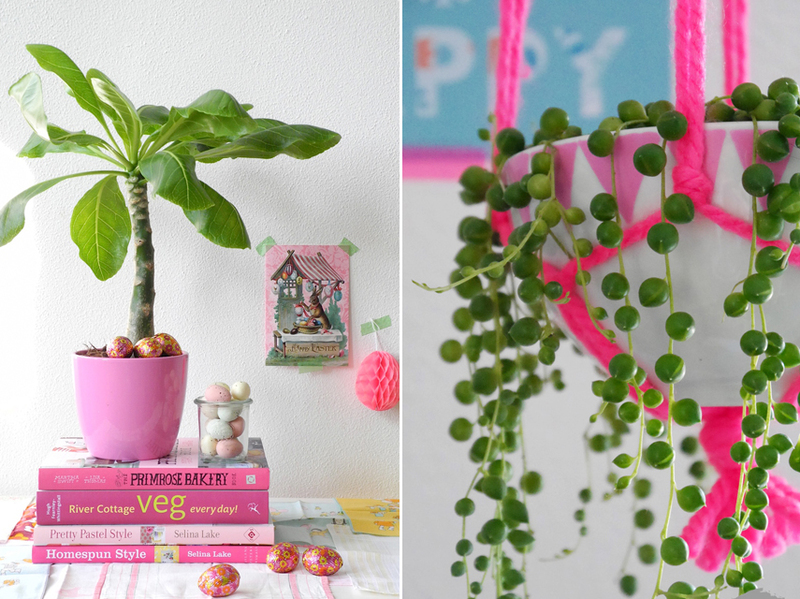 Giova styled a corner of her home with pink accessories, plants, succulents and delicious Cadbury eggs and Julia used neon strings for a happy hanging planter with a String of Pearls plant. 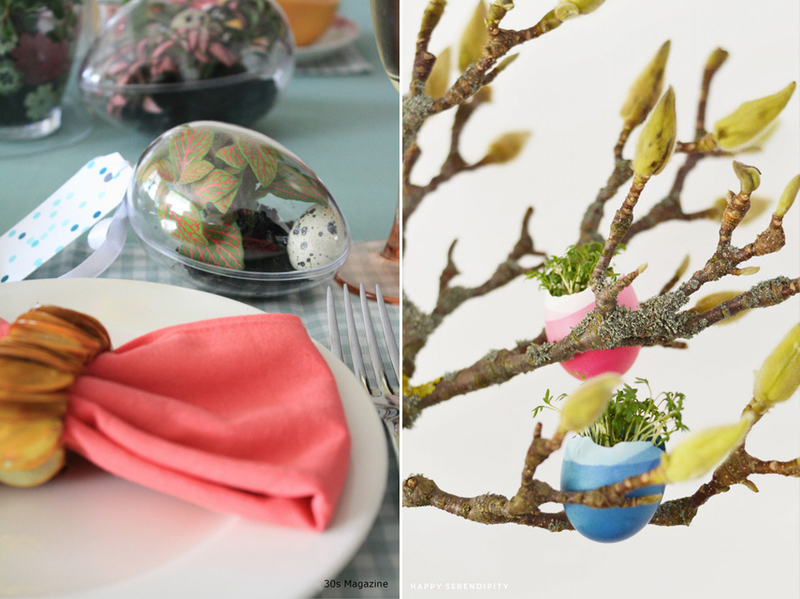 Louise created egg-shaped terrariums with tiny little plants as giveaway for her Easter brunch guests and Lou made colorful mini egg planters with cress to hang in her Magnolia branches. Anuschka chose a beautiful Tillandsia for her Spring styling and added some vintage flower postcards for an eclectic mix. And what’s Easter without a bunny? 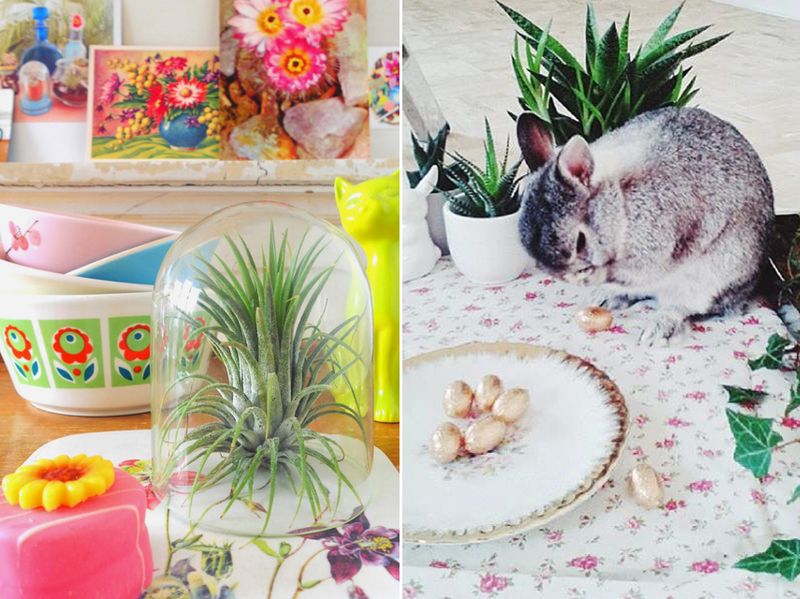 We loved Valérie‘s cute rabbit Juju that hopped around her green table styling (and nibbled on the Ivy!). 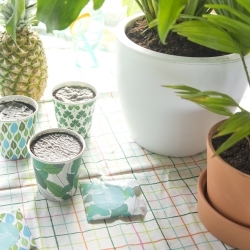 We hope you feel inspired by these blogger stylings and wish you some sunny days ahead to get creative and style up the Easter season with your favorite plants. See you back here on Thursday for more green Easter styling ideas! If you want to join us, you can find all the information right here.